Here at OneBell, we consider ourselves to be the Kings of Business SIM only deals. We take EE’s standard plans and apply our stockist discounts to offer you, the customer, the most value. 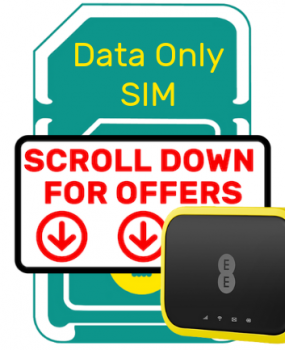 With EE’s SIM only deals you provide the device and we provide the network through EE. This means you get all the benefits from of an EE customer but pay less than you would for a standard plan. Plus all these 12 and 24 month plans include EU roaming at no extra cost. All our SIM only deals are available to all types of business customers, whether you’re looking for a new SIM, transferring from another network or simply looking to renew your existing contract. Just tell us which category you fall into during the order process and we’ll handle it from there. Customers on Business SIM Only Plans with 25GB of inclusive data are subject to a fair use policy of 15GB whilst in the EU. Customers on Business SIM Only Plans with 30GB of inclusive data are subject to a fair use policy of 20GB whilst in the EU. Data use above this may result in contact from EE asking to curtail usage. Handset upgrades are subject to a new credit check and acceptance by EE. New minimum term will apply. Any discount or cashback provided as part of the original SIM only deal package will be taken into account when offering an early upgrade package. EU Roaming Countries: Austria, Azores, Belgium, Bulgaria, Canary Islands, Croatia, Cyprus, Czech Republic, Denmark, Estonia, Finland, France, French Guiana, Germany, Gibraltar, Greece,Guadeloupe, Guernsey, Hungary, Iceland, Ireland, Isle of Man, Italy, Jersey, Latvia, Lichtenstein, Lithuania, Luxemburg, Madeira, Malta, Martinique, Monaco, Netherlands, Norway, Poland, Portugal, Reunion Islands, Romania, San Marino, Slovakia, Slovenia, Spain, Sweden, Switzerland, Vatican City, Saint Barthelemy and Saint Martin. IDD Countries: As per the EU countries listed in note 3 but does NOT include: Estonia, Latvia, Lichtenstein, Lithuania and Monaco. Call to an Access Charge number (beginning 09/118/084/087) will receive two charges on your EE bill - an Access Charge (AC), charged by EE at the rate above and a Service Charge (SC), charged by the organisation you are calling, who is also responsible for communicating how much this is. OneBell business mobiles supply SIM only deals for businesses all across the UK. 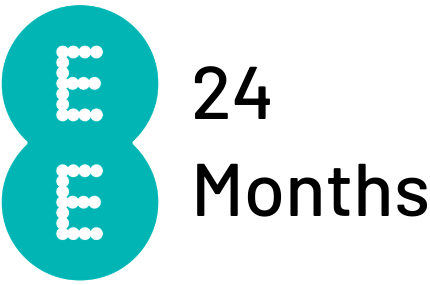 Our special authorised stockist relationship with EE means that we are able to provide exclusive EE SIM only packages at exclusive business rates. We pride ourselves on having some of the lowest priced for most comprehensive SIM only deals for businesses out there. You’ll get exactly what you need and more from our SIM only plans. With our SIM only business plans you provide the handset or device and then we connect you up through EE with a SIM card. You aren’t limited to one handset on your SIM only plan either, you can get a multiple handset deal through a bespoke quote for your business, meaning you can have one plan spread across multiple devices. The benefits of getting a SIM only plan through OneBell for your business is that you get the same benefits as you would do with a standard plan but for a fraction of the price you would usually pay as you’re not paying for the handset, just the SIM. All of OneBells SIM only business plans are available to all our different types of business customers, whether you’re looking for just a new SIM plan and want to keep the same handset, looking to upgrade from your previous contract and have already picked a handset up or are looking for a tablet SIM, just let us know at the checkout and we can sort the rest out for you! Data SIM’s are a great way of accessing large amounts of data for a low cost. They can go in an existing tablet or dongle as well as one of our EE 4G WiFi routers (free with some packages) which can connect up to 20 users at once. You can create your own WiFi network and benefit from EE’s superfast 4G speeds. Great for site offices, remote workers and just lazing around in a coffee shop! No more scrabbling to get on someone else’s WiFi at snails pace speeds and no more worrying about security in free WiFi areas.